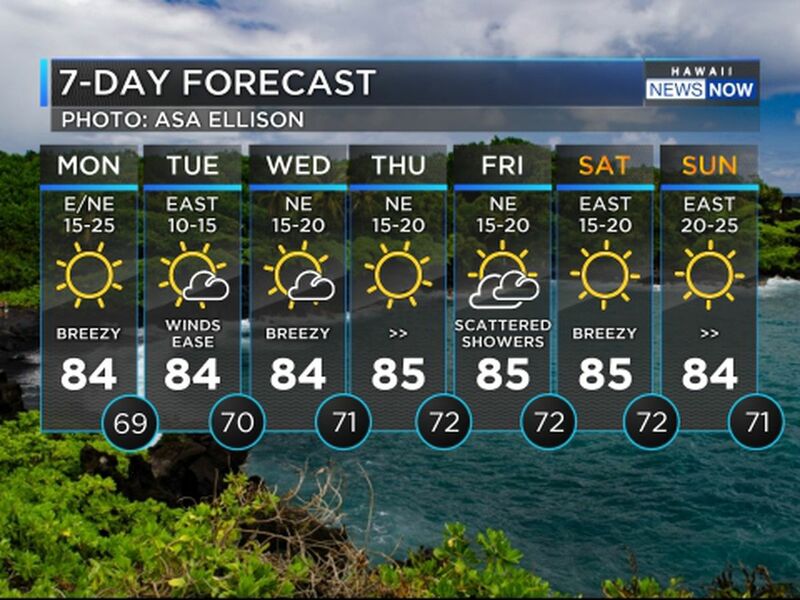 HONOLULU (HawaiiNewsNow) - A stable and mostly dry weather pattern will remain in place with light and variable winds through Tuesday. On Wednesday an approaching cold front from the northwest will cause winds to shift towards a more southerly direction with scattered showers. On Thursday and Friday a cold front sweeps through the state from west to east, spreading clouds and showers over each island. 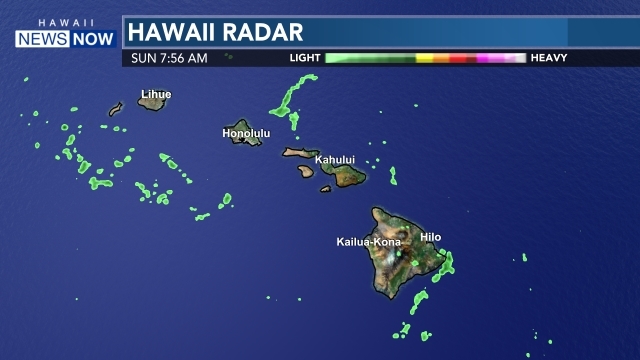 Expect a return to trade winds on Saturday with typical windward and mauka showers. 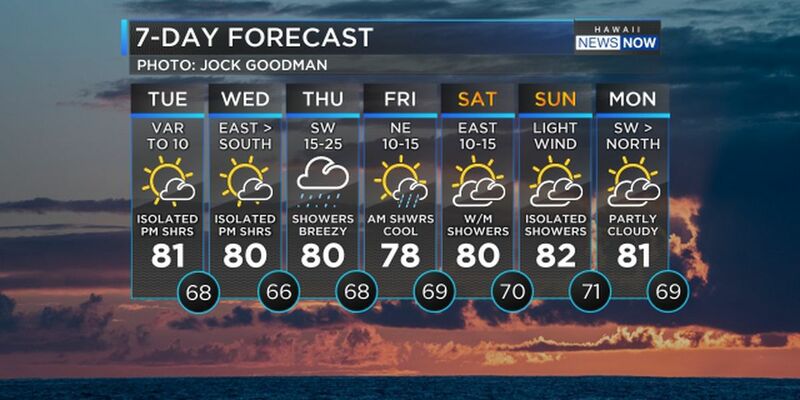 Another cold front approaches the islands for the first half of next week with another round of wet weather. A large northwest swell is expected to peak today, then slowly begin to ease tonight. A High Surf Warning (HSW) remains in effect for exposed north and west facing shores of the smaller islands through Tuesday night, and a High Surf Advisory (HSA) remains in effect for the west facing shores of the Big Island through Tuesday night as well. This swell will continue to gradually lower Wednesday through Thursday. A large, short- period, northwest shifting to north swell will build Thursday night and Friday, then slowly fade over the weekend.